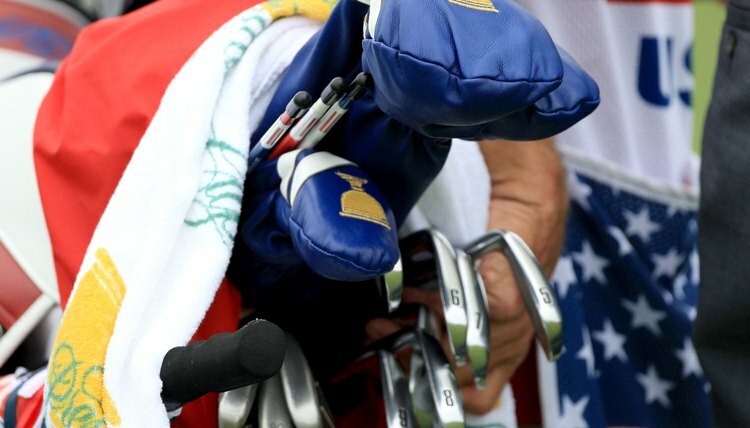 Tour player like Bill Haas prefer forged clubs. There are two different methods of making golf irons. Traditionally, club makers forged a club head by heating a piece of iron and manually shaping it into its finished form. In the 1970s, the casting process started to become popular and by the 1990s most golf irons were cast by pouring molten metal into pre-formed molds. In 2010, manufacturers still use both of these processes to make forged and cast irons. Golf irons at the beginning of the 20th century were handmade by blacksmiths who pounded individual pieces of iron into shape with a hammer. Making clubs in this way that had consistent shapes and specifications was difficult. They later used mechanical presses with preformed dies and began using steel, which was a more compatible material for the new machinery. These changes resulted in higher production rates and club heads of more consistent dimensions. All golf irons were forged until the late 1960s when Ping began producing irons with a revolutionary cavity back design. By positioning the club’s weight around the periphery of the club head, Ping designers made them more forgiving of off-center hits. They found that the new head shape was much easier to make using a method called investment casting. This also allowed them to switch the club head material to stainless steel, which is harder and more durable than the carbon steel used in forging. The tremendous popularity of Ping irons led to a revolution in the industry. Other manufacturers switched their process to casting and, eventually, stainless steel investment cast irons were the preferred choice of most golfers. Their design featured larger club heads with weight distributed around the outside edge of the club head. The resulting higher moment of inertia made the new clubs much more tolerant of shots hit away from the exact center of the club face. The sweet spot of a forged iron might be the size of a dime while that of a perimeter weighted cast club was more like a quarter. The few forged irons that continued to be available generally were smaller than cast clubs with more of their weight concentrated directly behind the ball. They were made of softer steels and had other features such as less hosel offset and thinner top lines that appealed to professionals and better amateurs who appreciated the superior feel and ability to shape shots. The cost of making forged irons was higher than for their cast counterparts. In the 21st century, the design of forged irons began to evolve. Advances in technology allowed manufacturers to incorporate in their forged sets characteristics of cast irons. Today's sets often change progressively from full cavities on the long irons to a traditional muscle back design on the shorter ones. Players can now have the best of both worlds: control and feel with increased forgiveness and playability.